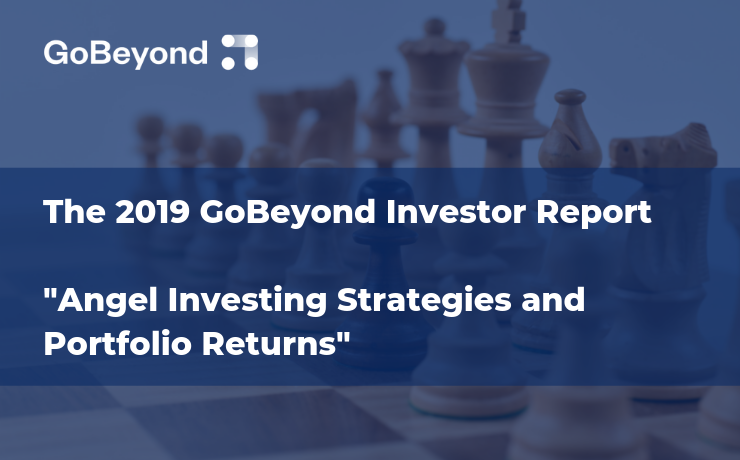 GoBeyond has published The 2019 GoBeyond Investor Report: “Angel Investing Strategies and Portfolio Returns”. The Report is based on data from 2008 to 2018 covering investments made by 800+ investors who invest through the GoBeyond platform. The GoBeyond investor community includes 884 early stage investors that come from 45 countries and represent 48 nationalities. rounds in 98 companies from 17 countries. 88% of investors who have invested at least once have breakeven or positive returns. ventures in up to 77% of cases. Since 2008 GoBeyond has curated connections between like-minded investors and highly-vetted entrepreneurs at the forefront of innovation with the talent, drive and determination to succeed. The GoBeyond team strives to provide both novice and experienced investors with constructive support by sharing valuable resources, facts, figures, portfolio tools, insights and expertise. It is the angel company by investors for investors.